The word "purge" has been irking me since it brings up images of porcelain thrones and medieval times. So, I decided that I'm going to refer to this process as a cleanse. It's really the same thing--just a friendlier word :) It makes me think of green smoothies and carrots instead of vomit. 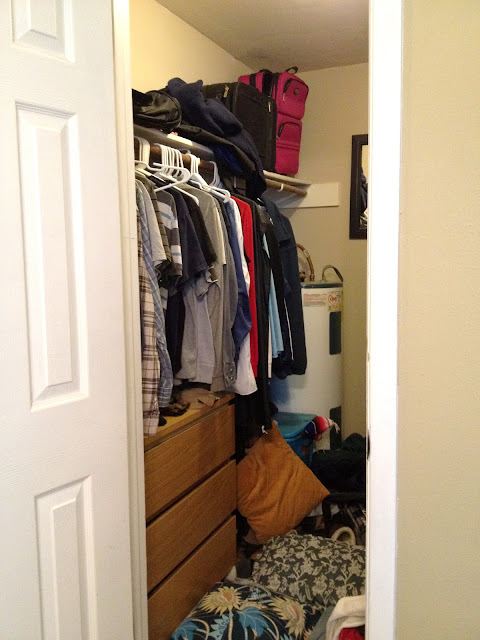 Josh and I worked on our closet cleanse this past weekend and it feels so wonderful to get rid of items that are closet hoggers. This cleanse, for me, was all about the clothes. After reading The No-Brainer Wardrobe, I was especially excited to look at my closet with a new perspective and ask myself some realistic questions. Like the bathroom purge (cleanse...), I made a pre-cleanse check-list. 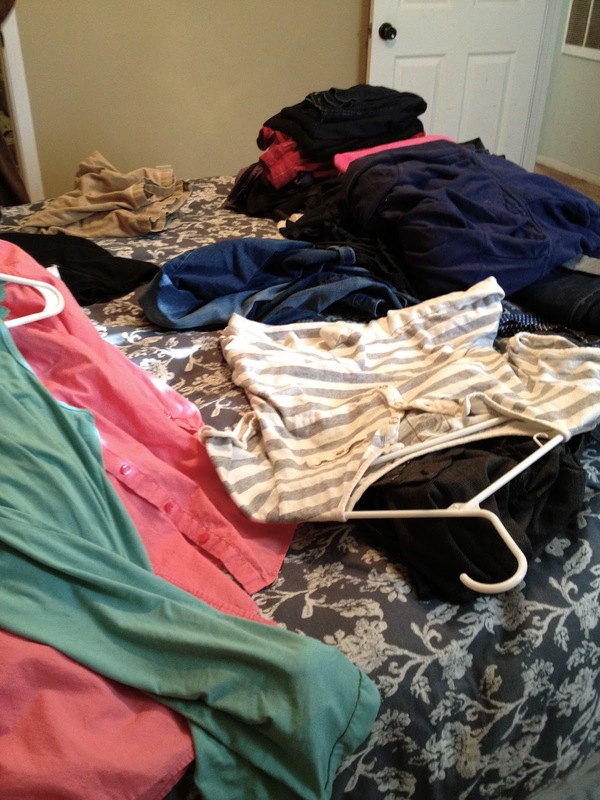 Interested in taking a look at the check-list I used for the wardrobe cleanse? View it here (you can even print a copy!). I found this to be a helpful tool for me to honestly examine the contents of my wardrobe. It began as quite the mess. And then it got messier. And finally, we had neat giveaway piles. I ended up donating a lot of clothes that had been resident closet hoggers for the past few years. Although it felt refreshing to see my closet less chaotic and clear of unused items, it also was a wake-up call to be a more intentional shopper. Many of the items that ended up in the donate pile were clearance items that kinda fit, sweaters bought on a whim, shirts that didn't fit well (and they never did fit well or had shrunk), and jeans that have been in the "when I lose 30 pounds" pile for way too long. Seeing all those hangers empty made me feel a little antsy to shop and fill them up. We went shopping a little on Friday too, but instead of having a mission of just buying something, I went armed with my capsule closet wish-list. I only bought three items. And they were all on the list. And you know what, I loved it! I loved shopping with a purpose and being willing to ignore the feeling that I had to buy something just because. Or find something that fit. Or head to the clearance rack to find a three dollar deal that I don't really like but still buy because it sorta works. Maybe I'll get brave and try and be a cool fashion blogger (haha...that's funny!) and take pictures of different outfit options from my capsule wardrobe. We'll see. Don't hold your breath. Next up, I'll be chatting about ways to be generous and intentional with our clothing/wardrobe items! You should be so proud of yourself! Seems we are conditioned to have a ton of clothes even though they are not useful to us. Three cheers to you for challenging that and encouraging us to do so as well!! 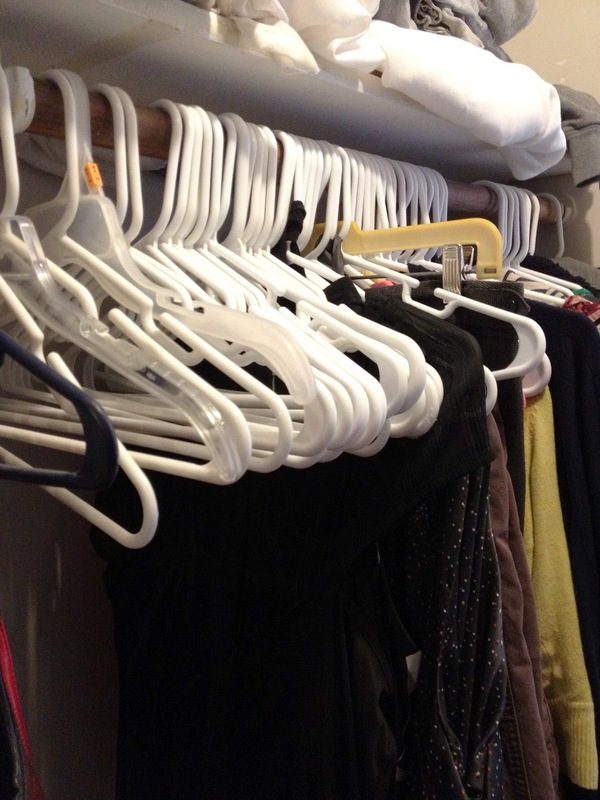 I'd put those empty hangers away somewhere until each one is needed. 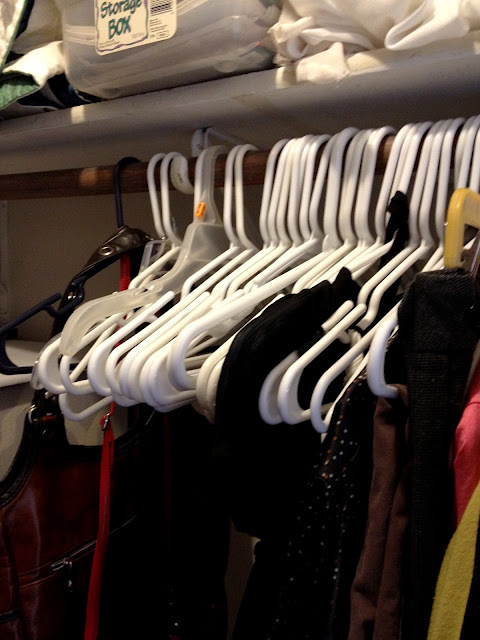 Bringing a hanger back out could be a great experience when you've found the *right* piece of clothing for it! Oh, I so needed this post! 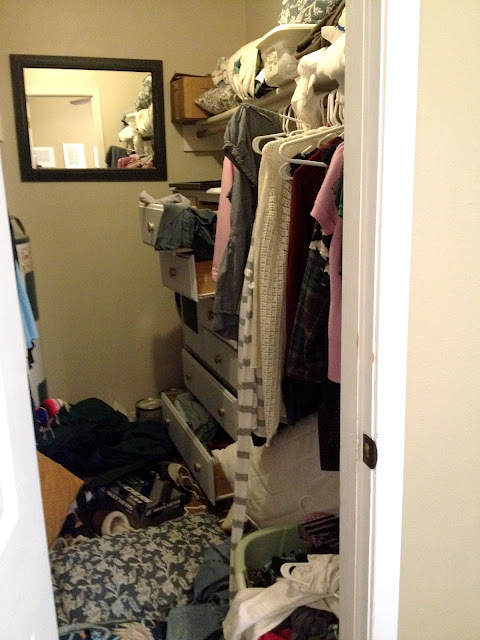 I really ned to clear out my closet. 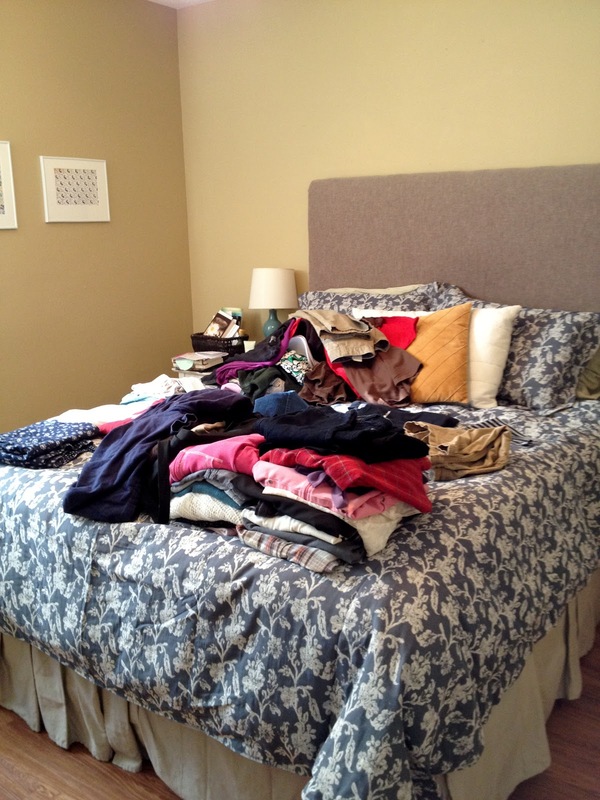 I have maternity clothes, post-baby clothes, old clothes from pre-baby (or pre-3-babies-ago!) that fit but are o-l-d... I'm heading to printout the list right now.